This episode covers a couple of niche machines in our sewing world, sergers and coverstitch machines. These machines are often feared and misunderstood due to the complex looper threading process on a lot of manual machines. Some people may even have a serger just sitting around collecting dust because they do not know how to use it or have the patience to try to thread it. Fear not... I will explain the different types of sergers, coverstitch machines and combination serger/coverstitch machines. Dust off your serger and thread it up for a three thread overlock stitch. There are so many things you can do with just a three thread setup, like overlocking, satin stitching, knit apparel construction etc. If you are new to sergers and coverstitch machines, this will be a good guide for buying. I review basic machines to the top of the line with automatic jet air/extrodinaire looper threading. The good news about these type of machines is that they are all mechanical, and easy to maintain since there are no computerized parts. 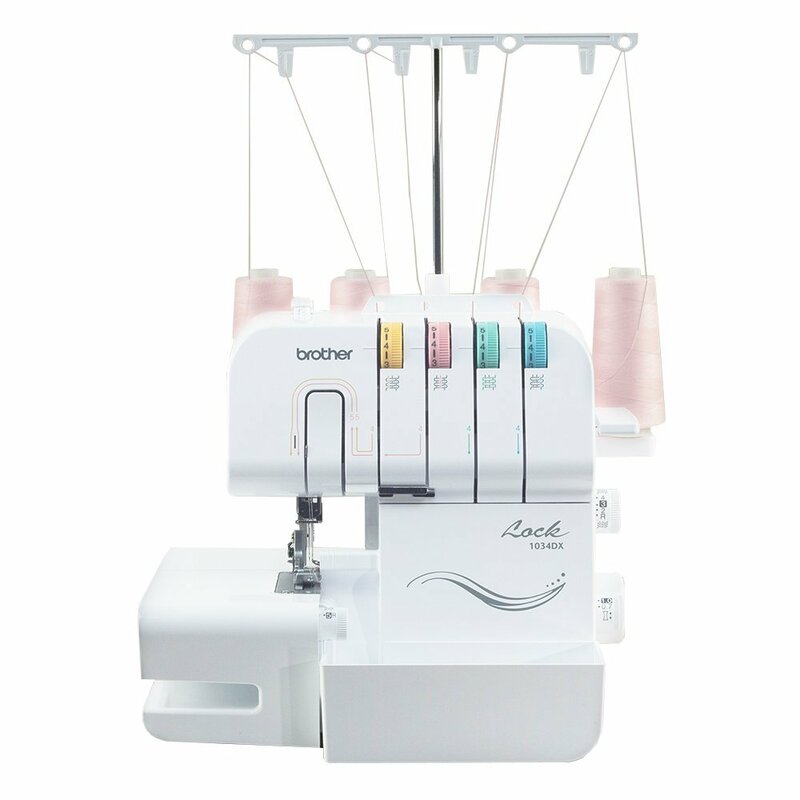 Basic serger that is very popular Brother 1034DX and available to purchase online at Amazon. This is a 3/4 thread serger with differential feed (so you can adjust the looseness of the stitches for gathering ruffles etc), color coded thread guide and 1300 stitches per minute! All of the major brands make sergers, but I am only familiar with my Huskylock by Viking which is an excellent serger, and my two Babylock serger/coverstitch combination machines, the mid-range Babylock Diana and the high-end Babylock Ovation with automatic extraordinaire looper threading. All of these machines are sold by machine dealers. Juki basic serger JUKI MO654DE Portable Thread Serger Sewing Machine can also be purchased on Amazon, or mid-range models like Juki MO-735 2-Needle, 2/3/4/5 Thread Serger Overlock Machine from Sewing Machines Plus. Let me know if you do have a serger, and if you use it, or if not, why do you not use it? Also, if you have a serger on your wish list, which one do you have your eye on?